In the latest Fairy Tail 444 chapter, we see Zeref revealed to us as the Emperor of the Alvarez Empire leading over 700 guilds in the East continent to any battle with just one command. However, Fairy Tail 436 showed Zeref and Acnologia meet up as Zeref has made his choice to annihilate both Acnologia and the Humans, so has Zeref killed Acnologia? Fairy Tail 436 described Zeref mentioning to Acnologia that with his all power he has the ability to rule the world but does not, similar to Zeref yet Zeref just mentions that he’s always looked towards the future. Zeref described Acnologia as someone who has been waiting for someone, someone against whom he can truly fight. The last page see’s Zeref mention that he will be the one who will comply with his true power and truly make him battle, and thus the final battle between the Dragon, Human and Immortal approaches. Return to the latest Fairy Tail 444, we see Zeref appear in his city meaning that he and Acnologia may have not fought. However, it’s not wrong to assume that they did not trade a few punches here and there. 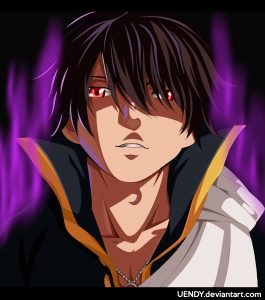 Zeref is immortal while Acnologia has endless power. With two supreme beings being in the same place at the same time, something crazy would have had to happen off panel. Before reading back and reconfirming this, I had the idea that as Zeref had appeared, I thought it one and one thing only. Acnologia is dead, well that may not be entirely true, as Zeref mentioned to Acnologia to continue waiting a little longer as the time for the final battle between Dragon, Human and Immortal approaches. So if Acnologia isn’t dead (yet), what is the purpose of this post you may ask, well… Hype. Hype between the kingdom whose empire holds over 700 guilds to their Emperor being the immortal Zeref who is loved by the people of Alvarez. With such a small force behind Fairy Tail, it’s truly unbelievable to see how they can even dent or make a scratch on the impenetrable empire. Hype that is already being built between the possible final battle between Natsu vs Zeref vs Acnologia is already set in motion as all three may appear in the kingdom of Alvarez. The hype which is quickly building to the most extreme and powerful battle the series of Fairy Tail has ever seen is being set in motion, could it also mean the end of Fairy Tail? Maybe. 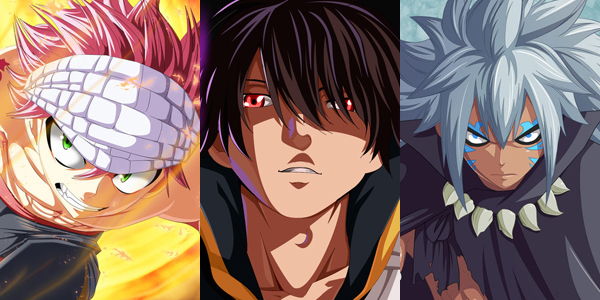 Just like many other series in their final stages of series, for example Bleach or Naruto (in its final manga stages), its built a large amount of momentum revealing key characters such as the Ten Wizard Saints, Zeref’s relationship to Natsu, Acnologia’s Human Form, a country to rival the continent of Ishgar and now the final battle within the Fairy Tail world, Natsu vs Zeref vs Acnologia. This article may have jumped from idea to idea talking about multiple things, talking about Zeref already killing Acnologia, Zeref’s true intentions and possible end to the Fairy Tail world are just some things that were covered. 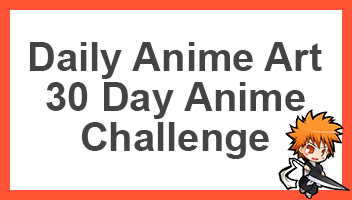 If you feel you’d like to say something, use the comment section below telling us how you feel about the series as a whole, or talk about Zeref, Acnologia, Natsu or anything else. Talking about zeref and acnologia i think they might had few punches but dead i dont think so not yet or i dont want to believe it ? as the series is yet to cover many things. Is this the last battle everyone is talking about?? Yes-issh? . Other thing i wanna know is that igneel was not able to defeat END is it bcuz igneel already knew its Natsu?? And zeref or shld i say Zeref Dragneel what was the relationship between zeref and igneel?? Plus i dont wanna see acnologia die now as i want to see a chapter where gildarts was fighting acnologia and lost his one arm and leg as he onces mentioned to natsu that he doesn’t know anything abt the dragon natsu keeps talking about(igneel) but the one he fought black dragon(acnologia) is the enemy of humankind so, i dont want him to die now. I believe that Igneel found out that he couldn’t go through with killing a little child for which is Natsu and thus entrusted himself inside Natsu to protect him from the likes of Zeref and Acnologia. I think there must have been some kind of complication where Igneel stole Natsu from Zeref or something and then he must have found out or something. Or Igneel cleared Natsu’s memories so he would forget about Zeref being his brother. A fight between Gildarts and Acnologia would be awesome, but as we’ve not seen him in many years, its most likely that he’s training to get stronger or is doing his own research. And yeah I think Acnologia is the one that took Gildarts arm. I think Acnologia is massive part to the story, we’ve just seen a part of him and there is a lot more left for us to see. To me, after reading Fairy Tail Zero and seeing Zeref in those chapters, it really feels like he is not the main antagonist, but is still made out to be one. To me it feels as though Zeref is doing all these things in order to kill off Acnologia. He himself might not be able to do it. But believe’s Natsu could somehow. The fact he has over 700 guilds, might just be a fail safe if the worst happens. No matter how you look at if 700 guilds would be a lot of people, if every single one fought Acnologia, there would have to be some doubt that he could win. At the same time Zeref wants, or at least knows that the only person that can kill him is Natsu. So he probably wants to make sure he can get stronger before that final fight with Acnologia happens. But who knows, it seems to be clear with each passing chapter the series is heading down that road to the final arc. Totally agree, I didn’t quite see the Alvrez kingdom being Zerefs nation to battle against Acnologia, but it seems that it could be a nation that Zeref could use to give Acnologia the best fight he’s had, someone or something he can truly battle with his full strength. I think the series could be coming to a impactfull end soon. I don’t think “soon” but soon as in at least 2 years, yes. I could see the final arc lasting a good 60 or more chapters which was around how long the Tarturus arc was, I could see it be longer than that. Yeah, totally see 2 years from now as FT is at its climax, right now it seems to be going at a good pace leading up to something so big that even FT cannot handle alone. This is getting me excited just thinking about how the final battle will be so epic! by mentioning immortals its not zeref alone we have Mavis here also. zeref didnt kill acnologia he just declared a war and wait till the time comes. it was zeref who helped him in transforming acnologia into a dragon remember. and just like zeref mentioned he wanted to die. he wanted someone to kill him but his dark magic is not allowing it. he also mentioned it might be the demon END (Natsu) who have the chance of killing Zeref. each time when Zeref see natsu he said he haven’t awakened yet, remember he told that in Tenrou island arc. and also told Mard Geer they he almost succeeded in awakening END still he couldn’t Zeref was waiting patiently for END to wake up bcz he wants to die with hands of his beloved young brother Natsu. So he planed a war Dragons vs Humans vs Immortals. As we can see Natsu’s power is really growing per day. which means he really is getting near the END’s power level. we saw Ntsu took down Ikusa Tsunagi with just one punch alone. so Zeref planned a war that will really awaken Natsu END and he will kill Zeref. to die in battle with the hands of his Beloved young Brother thats the soul purpose for zeref reviving natsu from the dead. sooo my point is Aconologia is not dead they didn’t had a fight. Zeref declared a war and left it made Acnologia happybcz it made him smile. What would happen I gray learned about natsu being E.N.D? I think that’s the perks, Gray doesn’t know, but he’s made it his challenge to destroy END, which means that when he does find out, it’ll be in bad terms and we’ll most likely see Gray vs Natsu, and we’ll probably see one of the strongest people in FT fight it out. It’ll be a battle not to miss. Or Gray will accept the fact that Natsu is Demon, Dragon and Human and won’t fight him, but help him to kill Zeref to abide with his father’s, Silver, wish to rid of all demons. why that’s Zeref wants Natsu to kill him? How is Igneel natsu’s dad? its really coplicated learning all this Thing. Does Natsu really know Zeref is his Big Brother? Zeref wants Natsu to kill him because of how long he’s been alive, he doesn’t see whats right or wrong, he’s reality has been bent and has nothing to do. All he can do is wish for death, but cannot die until someone like Natsu, who is END, can use he’s own power to defeat him. We don’t know how Igneel got to be his father, so I think we might get an explanation later on. Natsu has no memory of Zeref being his older brother. Soon! I think it will take a little while it all to happen because of how it’s currently going in the manga. The war will go on and then the big players will appear. I’m so confused. So why would Zeref waste time on leaving the black dragon alive, when it is clear that is immortal and will not die no matter what, so it kinda proves that Zeref is more than able to draft him by himself. This acnologia ( yeah really powerful) but are waiting for this last battle. What is the point of this? Plus the demons that Zeref created are the strongest being ever. So if fairy tail managed to defeat them, why do they make a point of saying the the 12 springgans are the strongest? So my theory is that. Acnologia is just a random enemy that is made to be the strongest. The only goal for him is to destroy mankind (why is that?) it clearly cannot defeat Zeref since he is immortal ( unless acnologia is Zeref and Natsu dad, and he is just waiting to fight against both sons) but still I wonder why he was scared of END. Zeref goals is to die together with Mavis to end is curse, and probable natsu is the only one able to because has is mention he has a secret power. I wonder if this power is a curse to give life ( if it is kinda giving life to Zeref and Mavis will make them mortal, so they would be able to die happy ever after with the POWER OF LOVE). Plus gildarts. Why is taking so long for him to appear? maybe acnalogia is zeref father what you think.or maybe acnalogia is the dragon that killed zeref family…! !